I’m not sure if you’re noticing the trend, but more and more people are trying out the creative entrepreneurial path. Maybe it’s the pull of wanting to do something you’re passionate about, make a great income, AND make a positive impact in the world…all at the same time. The lifestyle and satisfaction you can experience as a result of doing that is worth the effort to get there, but here’s the thing about running your own business: it cranks up the volume on your money stuff. 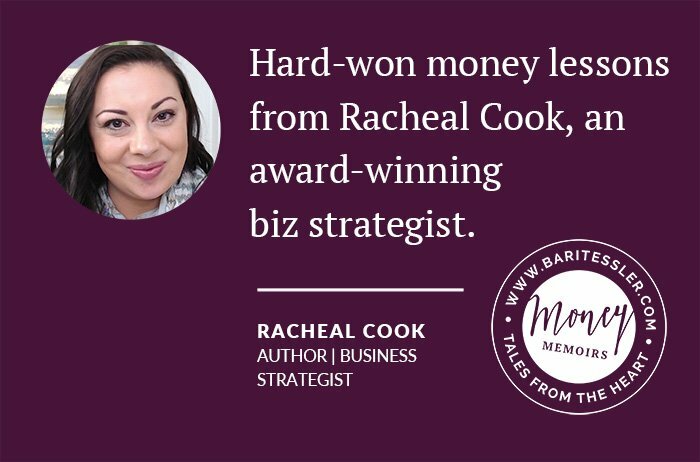 That’s why I adore the Money Memoir conversation I’m sharing with you today, with award-winning business strategist, former financial consultant, and delightful mom of 3, Racheal Baxter Cook. I’ve sent many friends and colleagues to Racheal over the years (for support with growing their businesses), but this was the first interview we’ve recorded — and it’s simply lovely. We talk bootstrapping, profit models, work-life-mamahood balance, and setting proper entrepreneurial expectations. Even if you don’t run a business, you might love hearing the biggest money lessons she’s learned … and how she and her husband manage money in their marriage. The unusual money gifts and challenges her entrepreneurial lineage endowed her with. The money blindspots she sees over and over with entrepreneurs. How she does bookkeeping as a person how hates the “hard slog” of details. The surprising upsides of actually looking at her numbers. How she and her husband do money together — roles, Money Dates, and scary leaps. I love the tough truths Racheal shares about money and running a business — it’s hard work! But she also shares how it’s allowed her to create a lifestyle she loves while playing on her strengths and helping others. LOVE. IT. Racheal Baxter-Cook is an award winning business strategist who believes entrepreneurship doesn’t have to be so complicated. Through her signature online mastermind Sweet Spot Strategy, she helps women entrepreneurs to simplify business and amplify results by designing a business around what works best, for you. She’s also the author of the Amazon Bestseller books Fired Up & Focused and Your Business Sweet Spot. Find out more on her website. 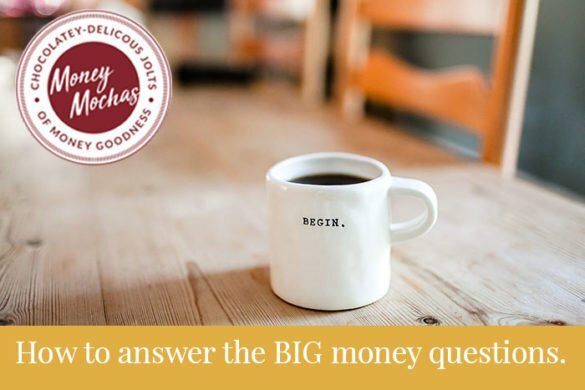 Money Mocha #5: How to answer the BIG money questions.